MINNEAPOLIS, Minn., Nov. 2, 2017 – For 80 years, Minneapolis-based Goodin Company has served the Upper Midwest as a trusted wholesaler of quality kitchen and bath fixtures, plumbing equipment, HVAC and industrial supplies. 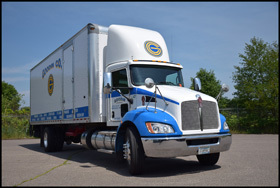 The company’s well-earned reputation for customer service depends on consistently fast and reliable deliveries. 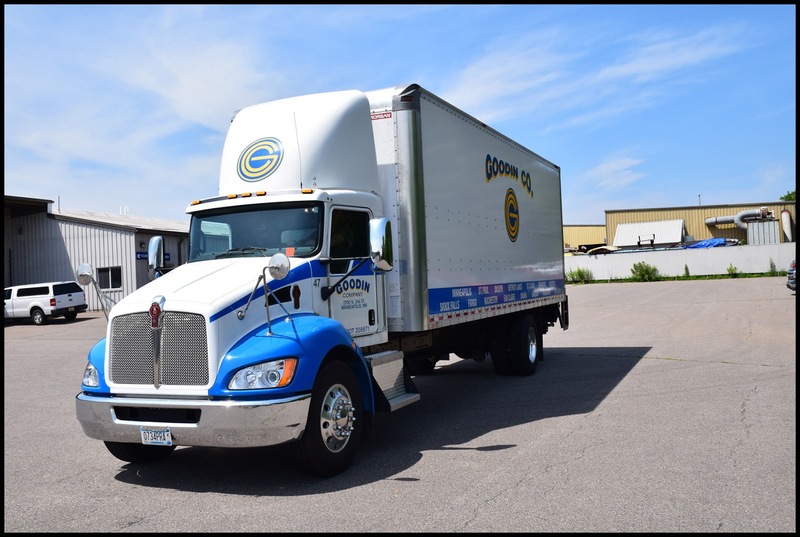 To assure long-term service excellence, Goodin started purchasing Kenworth trucks about 15 years ago, and has been a loyal Kenworth customer ever since. 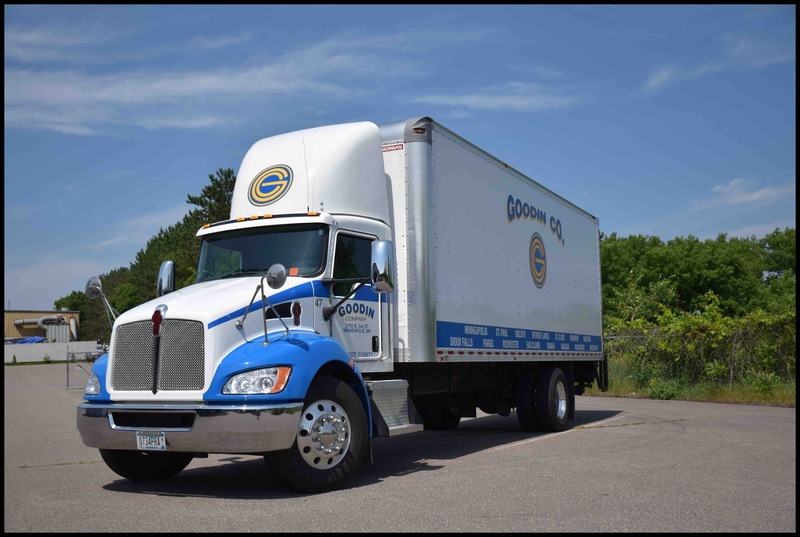 With 15 locations across Minnesota and Wisconsin, as well as in Fargo, North Dakota, Sioux Falls, South Dakota, and Omaha, Nebraska, Goodin depends on quality Kenworth trucks for uptime reliability, long-term durability and driver comfort. 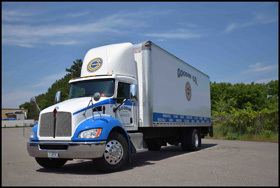 Today, the company operates an elite fleet of Kenworth medium duty delivery trucks. 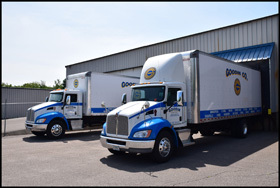 Over the years, Goodin’s Fleet Operations Manager Tom Newman has refined the company’s truck spec to make Goodin delivery vehicles as driver friendly as possible. Newman has been buying trucks for 25 years and remembers when he purchased the company’s first Kenworth. “We put one through its paces in Minnesota back then, and it did really well, so we bought one. Since then, the Kenworth product has only gotten better and better. 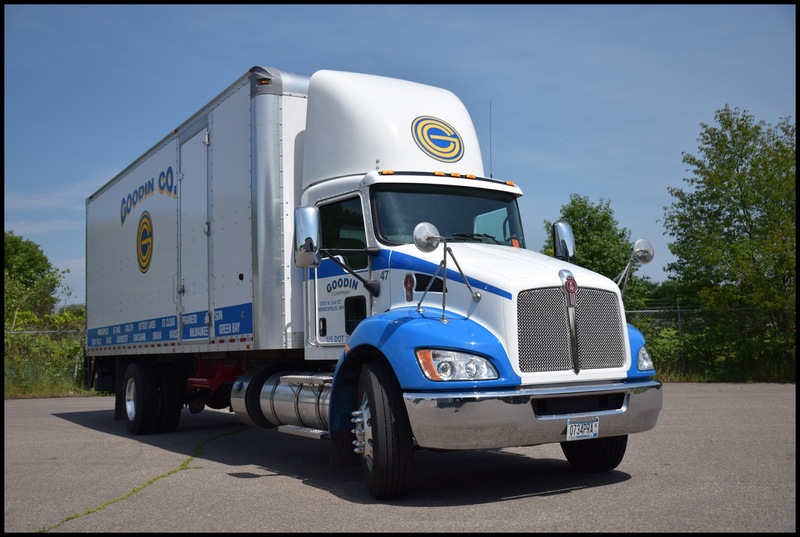 All our trucks are Kenworth now,” he said. The newest truck spec includes roof fairings and fender-mounted mirrors, among other components. The roof fairing gives the truck a unique look and helps improve fuel efficiency, said Newman, while the fender-mounted mirrors “help our drivers see more clearly behind and around their trucks on both sides.